Over the past few months I haven’t been making as much progress on my renderer as I would have liked, mainly because another major project has been occupying most of my attention: TAing/restructuring the GPU Programming course here at Penn. I’ll probably write a post at the end of the semester with detailed thoughts and comments about that later. More on that later! In a normal raytracer or rasterization based renderer, blurred glossy reflections require something of a compromise between speed and visual quality (much like many other effects! ), since using a large number of samples within the glossy specular lobe to achieve a high quality reflection can be prohibitively expensive. This cost-quality tradeoff is therefore similar to the tradeoffs that must be made in any distributed raytracing effect. 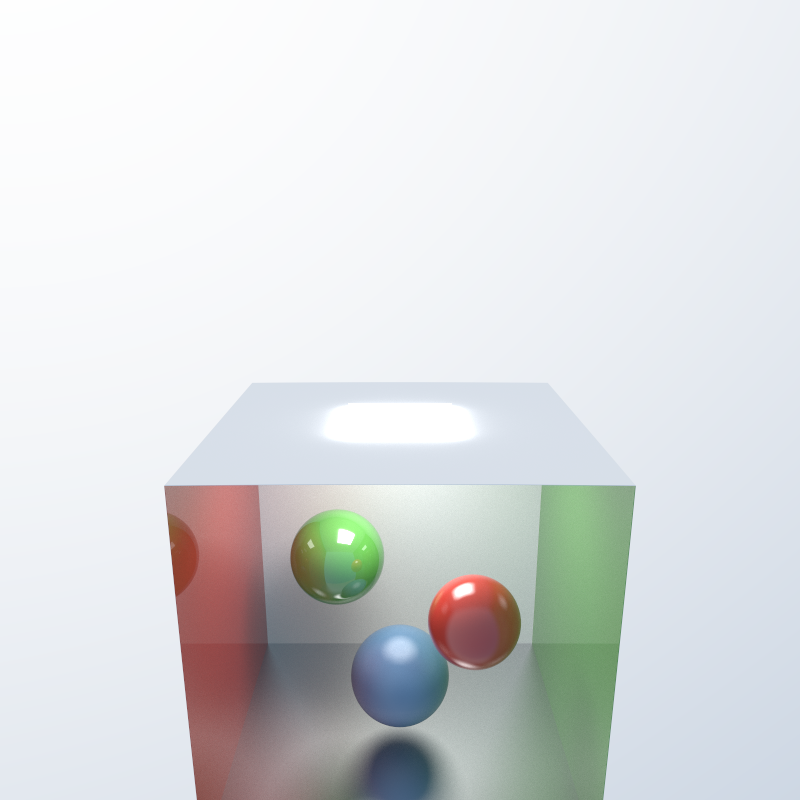 However, in a pathtracer, we’re already using a massive number of samples, so we can fold the blurred glossy reflection work into our existing high sample count. 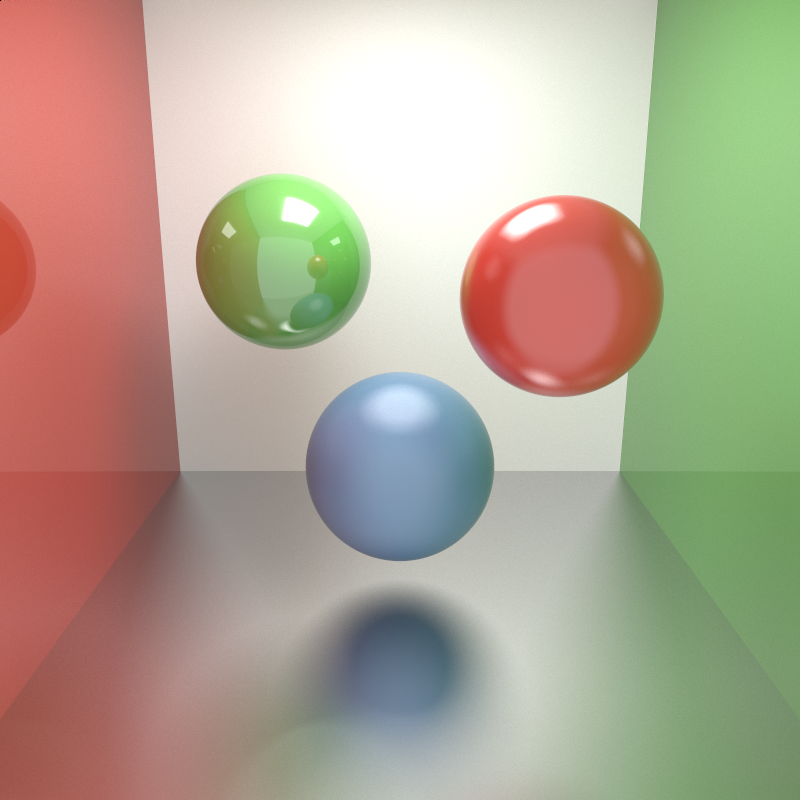 In a GPU renderer, we have massive amounts of compute as well, making blurred glossy reflections far more tractable than in a traditional system. …and some tests showing varying degrees of gloss, within a modified Cornell box with glossy left and right walls. Needless to say, all of these images were also rendered entirely inside of Takua-RT. Finally, here’s another version of the first image in this post, but with the camera in the wrong place. You can see a bit of the stand-in sky I have right now. I’m working on a sun & sky system right now, but since its not ready yet, I have a simple gradient serving as a stand-in right now. 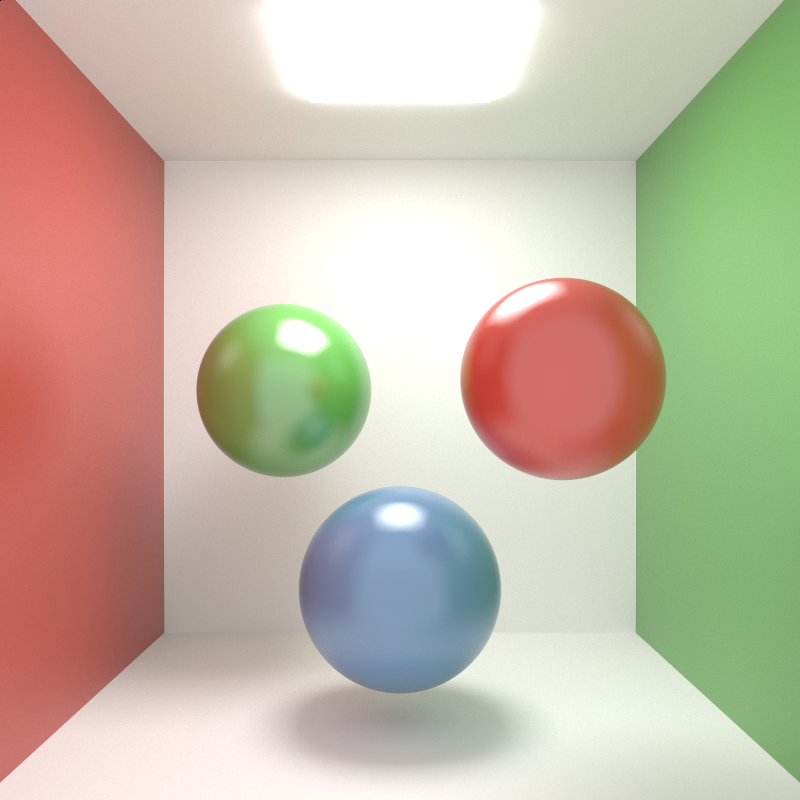 I’ll post more about sun & sky when I’m closer to finishing with it… I’m not doing anything fancy like Peter Kutz is doing (his sky renderer blog is definitely worth checking out, by the way), just standard Preetham et. al. style.